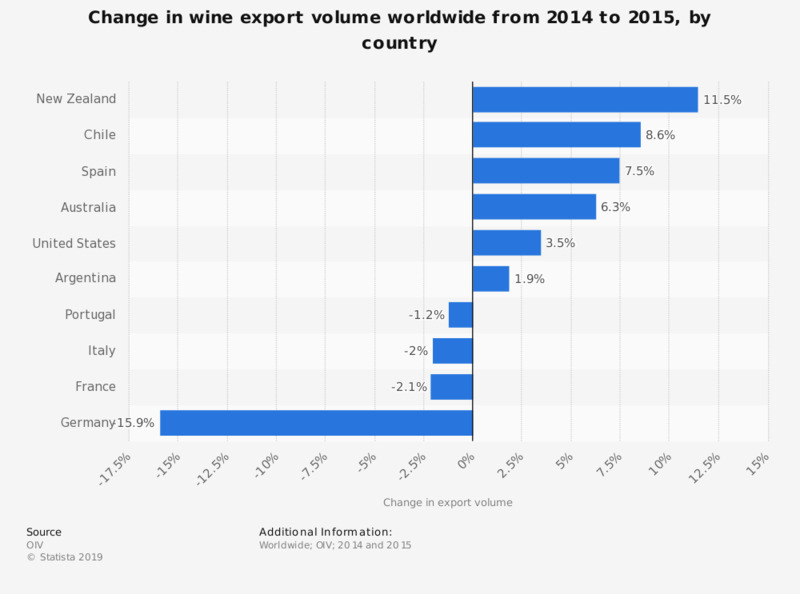 This statistic presents the change in wine export volume worldwide from 2014 to 2015, by country. During the period considered, Spain's wine export volume grew by 7.5 percent. Australia increased its wine export volume by 6.3 percent.